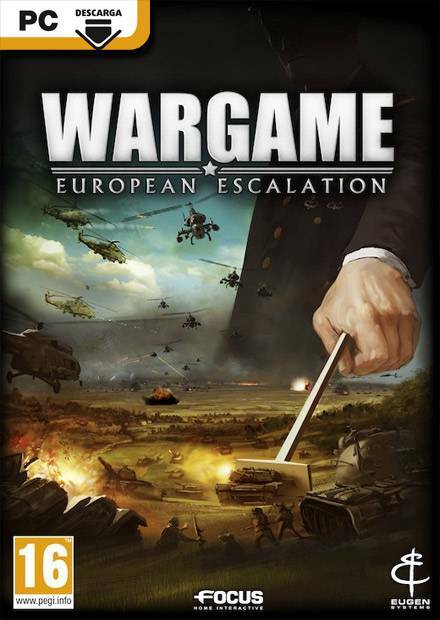 Wargame: European Escalation is an intense and spectacular Real Time Strategy game, where realism and strategy are brought to the front lines. With a phenomenal range of vehicles and units (over 350 different models), build your army and enter a huge military campaign across Europe of the 80\'s, as the Cold War is about to become World War 3. With the powerful IRISZOOM ™, Wargame offers breathtaking graphics and battles as spectacular as they are strategic. Prepare to bring hundreds of units of all kinds--tanks, helicopters, squad Infantry, etc.--under your command in intense battles on gigantic maps stretching up to 60 square miles! Online service EugenNet© provides a full multiplayer experience with creation of clans, organizing games, and world rankings where up to 8 players can compete simultaneously in massive battles involving hundreds of units!